Of the two constants in life, taxes have one big advantage over death; we know when they are coming! So why do we often find ourselves putting it off until the last minute? The answer to that question lies in two parts. 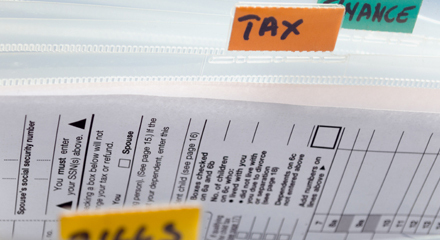 Reportedly, one of the chief reasons we delay filing for our taxes is related to being disorganized; we don't know where the papers we need are located, and sometimes we don't even know what they are. We anticipate the search ahead with dread, and putting it off is a common solution. Additionally, people tend to have a lot of paper clutter related to taxes in the form of files, envelopes and banker's boxes full of statements and receipts. When the volume of this paper clutter gets out of control, it contributes to a feeling of chaos and we become overwhelmed. Luckily, there is an antidote to the tax blues: you can lessen your burden tenfold when your tax documents are organized and de-cluttered. Not there yet? 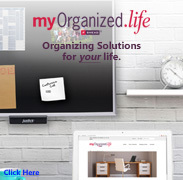 Set up this new system for 2014 so that next year, your taxes will be a breeze. The first lesson in getting the files in your home or office organized is the recognition that each individual piece of paper relating to your taxes (and, in fact, relating to anything at all) is an object. When we are able to locate the objects we need in an instant, the action that we take on them becomes simplified. By eliminating wasted time searching for things like charitable donation receipts and dividend statements, you will be freeing yourself up for other things that are more fun than filing your tax return. Which, let's face it, is basically anything. 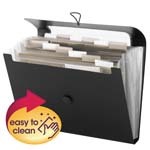 We love this foolproof system for filing and organizing your tax documents and receipts. It is based on the retention guideline of keeping old tax returns for seven years. Note: Be sure to check with your tax advisor to make sure this applies to you. The exception to this seven year rule is paperwork that relates to a potentially taxable investment or asset, such as your home or stocks bought outside a retirement account. In that instance, hold on to the paperwork for the duration of the investment or asset, plus seven years in addition. Here's how it works: within your filing cabinet, drawer or even bankers box, set up 7 hanging folders, each with a file folder and a tab (we love the Smead Viewables program to create durable tabs that will last for years on end). Next, label each tab from one to seven, starting with the number one. 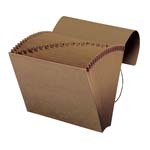 The first folder will represent the most current year's tax return paperwork, with each previous year following. So, for example, folder number one will represent 2013, folder number two will represent 2012, folder three for 2011, and so on. Using the system as a moving rotation, each year after you file your taxes, you should move the tax return and all related paper from each file back one, shredding file number seven and making room in file number one for the current year's return. Again, check with your tax advisor to be sure that the seven year retention guideline applies to you. 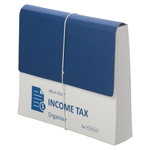 If you have too much paper to fit into the file, keep only the tax return and move the rest to a banker's box. If you want to keep the 7+ year old returns themselves, that's ok; they don't take up much space and can easily be put into deep storage. The benefit of this system is that it creates a visual record for you to track your tax paper. When you rotate the files back and shred that last tax return records, it acts as a visual cue to shred related documents like receipts and W-4s related to that tax year. That means dusting off that stash of banker's boxes in your garage, pulling out the oldest one and sending it to that giant shredder in the sky. Doesn't that feel good? 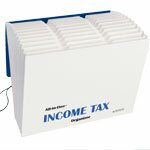 Once you have your rotating folder set up, you will have the last seven year's tax returns at your fingertips. Find a time when you can be uninterrupted for at least 2 hours. Turn your phone to silent and sit down in a comfortable location, preferably somewhere with a large, flat surface to work. Grab a pad of paper, a pen, and your rotating file. Write down each of the documents you anticipate needing. Type it up, print it out, and slide it into a sheet protector. This checklist will go into your current year's tax tab in your rotating seven year file. Each year when you shred the oldest file and move them all back one year, the checklist will remain in file #1. This is one of our favorite pieces of advice for organizing paper files. If you don't ‘file it to find it' then that paper is worthless. 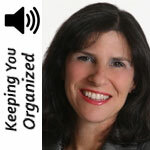 Be purposeful in where you file your paper, and what you name that file. For example, rather than having a file named "Charitable Donations" and another named "W-4s" and so on, simply put all paper related to your current tax year together in file #1. Yes, the file will be fat, but it will allow you to access everything you need in one moment, rather than searching for it through multiple files in multiple locations. 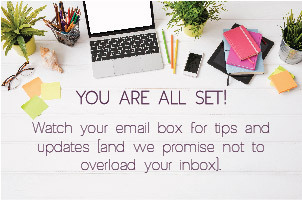 Plus, you will know exactly where to put those statements when they start appearing in the mail. Note: It is ok to have a couple of manila envelopes in that file to hold receipts. After years of organizing offices and implementing the time-saving practices of lean 5s office systems, we can honestly say "These steps work!" Imagine how wonderful it would be to eliminate time spent worrying, dreading and searching for the paper you need. If you like giving things to charities like Goodwill and the Salvation Army, get in the habit of not only getting a receipt each time, but itemizing it and adding the dollar value right there before you drive off. One slow cooker: $20, two women's jackets: $16 – this lets you easily add up your deductions at the end of the year. If you found that you contributed to numerous charities throughout the year, you may want to consider giving more to just one or two; it will give you less paperwork to manage, and give them a more impactful donation. Take the opportunity to review your financial goals for the upcoming year. By reviewing the previous year in detail, we are more likely to then set realistic goals for the future. Consider taking the opportunity to start the fiscal year off right by increasing your 401K by 1% if you haven't already reached your max allowable. No one ever says "darn, I saved too much for retirement". Yes, organizing and de-cluttering your personal and office tax-related papers will require an initial investment of a couple of hours. The upside? Completing your taxes on time with less stress. Who knows, you may feel so good about it that you decide to tackle the rest of your paper next! Veronica is a senior consultant with Organizers Northwest, the Northwest’s premier organizing consulting firm specializing in 5S and Lean Office. Helping clients to set up new, sustainable paper systems is one of Veronica’s specialties. She also writes the weekly Organizers Northwest blog. You can find her and the rest of the 5S team at www.organizersnw.com.